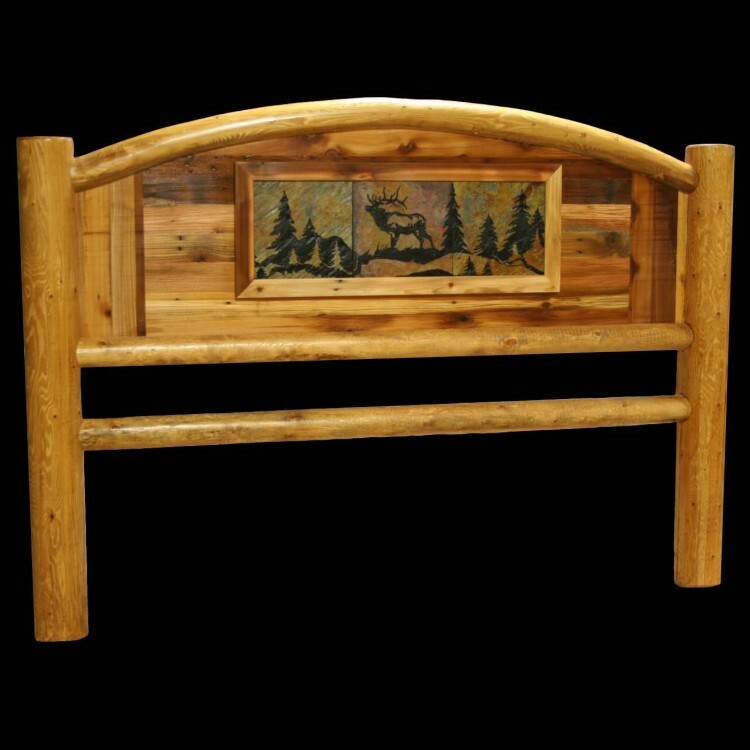 Recycled barn wood is accented with a inset of engraved slate and then framed by arched lodge pole pine logs on this exceptional log bed. 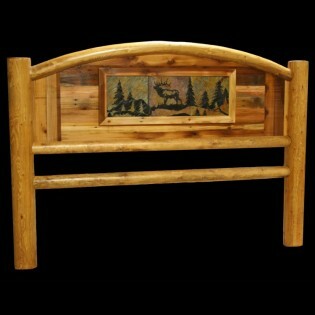 The Highlands Arched Barn Wood Beds are finished with a clear coat to enhance the beauty of the wood. 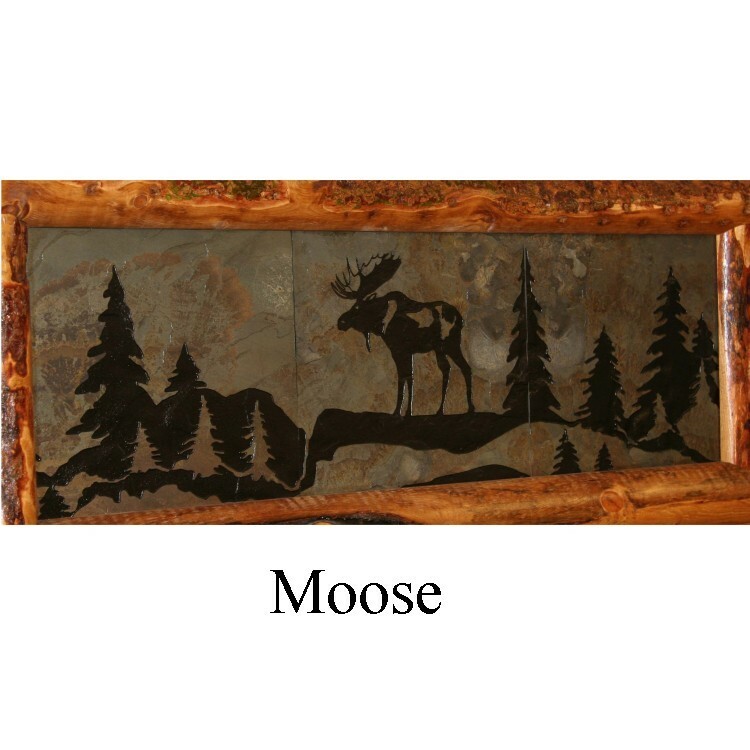 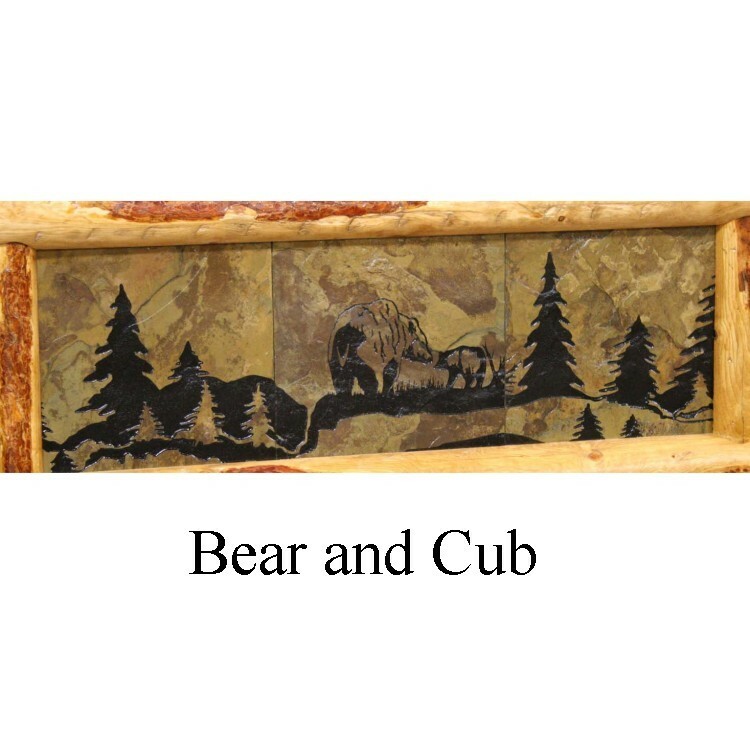 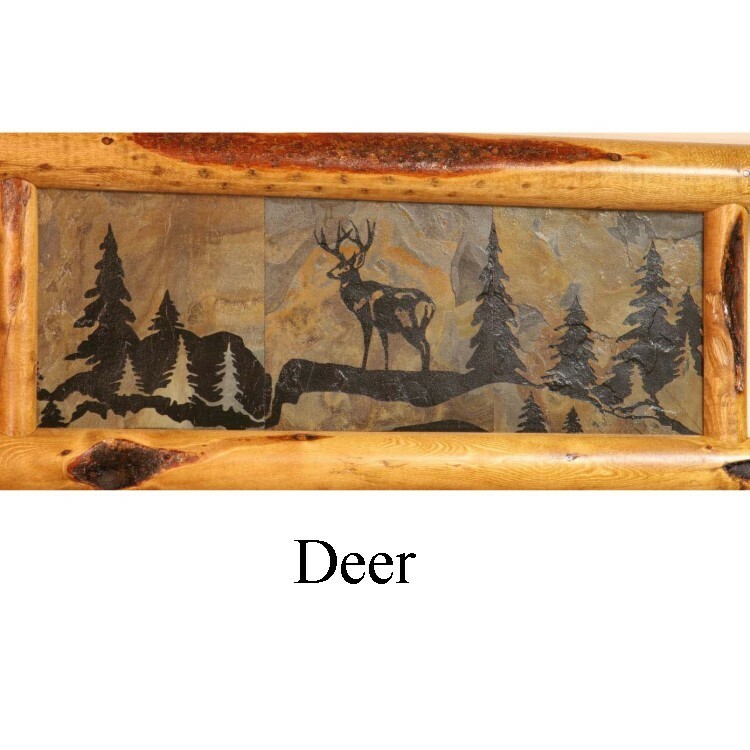 Choose from four rustic wildlife designs.